the wax will stiffen and reduce the tacky nature. Victory Brown is a true microcrystalline wax, well-suited for sculptural and moldmaking needs. It's more stable and less sticky at room temperature, but still warms easily to full malleabilty and workability with just the heat of your hands, but is slightly firmer than the white. Victory Brown casts natural shadows on the work which is an appealing quality for sculptors. Cuts easily with a sharp knife or hot wire and does not leave an ash residue. Needs internal armature if you use it as a direct sculpture medium. Melts at 165° to 175°F. Not really suited for use in candles, but it's sometimes used to cut and soften paraffin waxes. 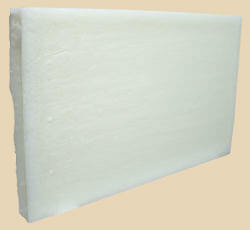 Use no more than 10% microcrystalline wax with paraffin (measured by weight). Available in 2.5-pound blocks and 10-pound slabs (6 slabs to a case).  Victory White is a true microcrystalline wax, well-suited for sculptural and moldmaking needs. It's more stable and less sticky at room temperature, but still warms easily to full malleabilty and workability with just the heat of your hands. Cuts easily with a sharp knife or hot wire. Melt and dye with standard candle colorants for better visual contrast when doing fine detail work.